One of the things I love about Paris is its bounty of hidden pockets of delight. One minute you’re walking down a relatively mundane street, you turn a corner and a beautiful little park or something quirky will catch your eye. 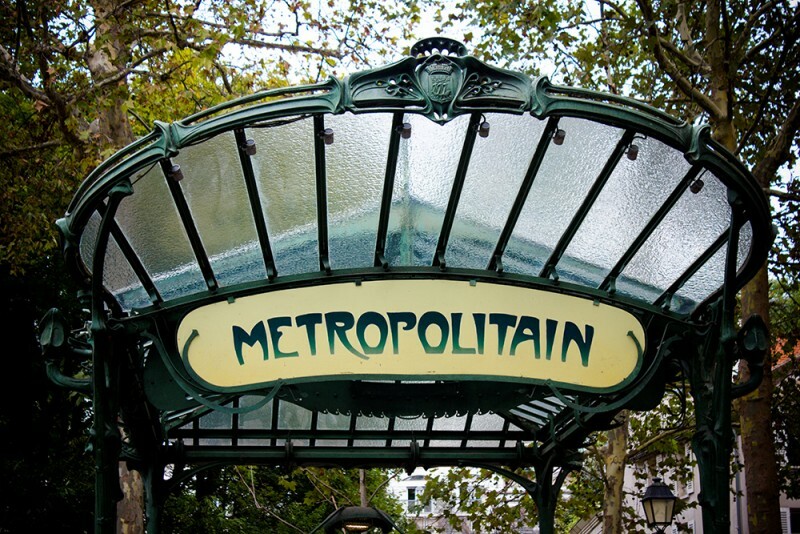 The Square Jehan Rictus is a small park close to Abbesses Métro station (the one with the iconic Art Nouveau “Metropolitain” sign). 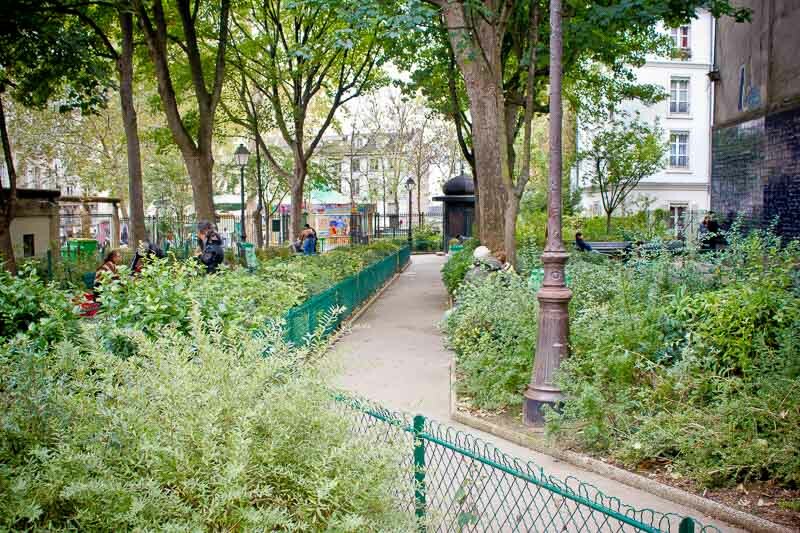 It is leafy and quiet, the perfect place to stop, rest for a while and nibble on a baguette. 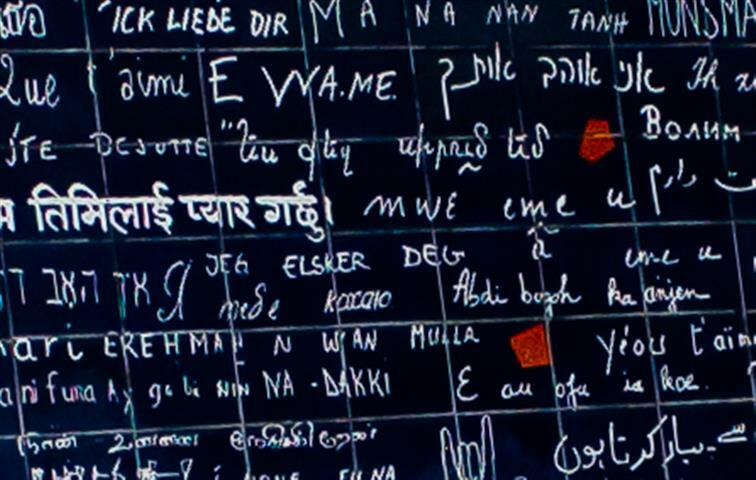 It is also where you’ll find a remarkable artwork called the I Love You Wall (Mur Des Je T’Aime). He then collaborated with Oriental calligrapher, Claire Kito who transposed all the scraps of paper onto the massive mural that is spread across a wall in the square. 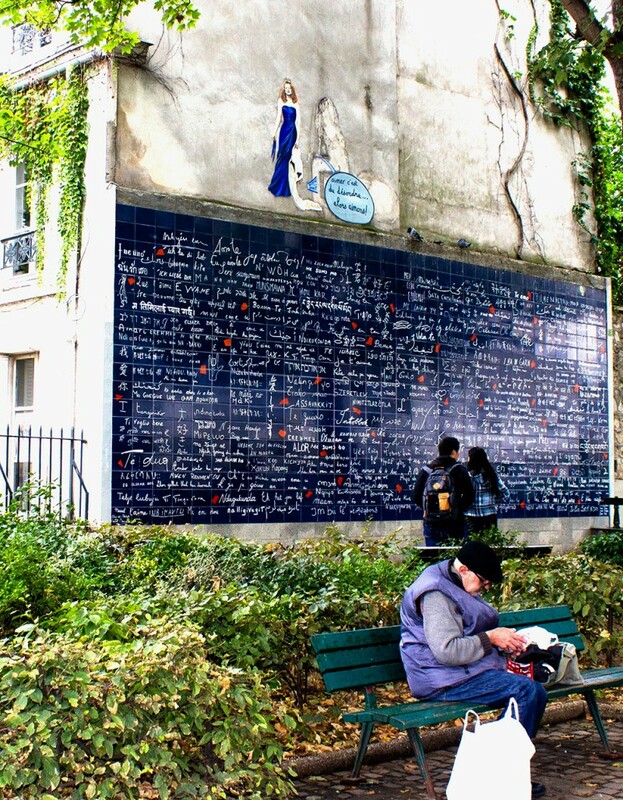 The mural comprises of 611 tiles made of blue enamalled lava in the same size as the original scraps of paper on which they were written. It measures 40 square metres. 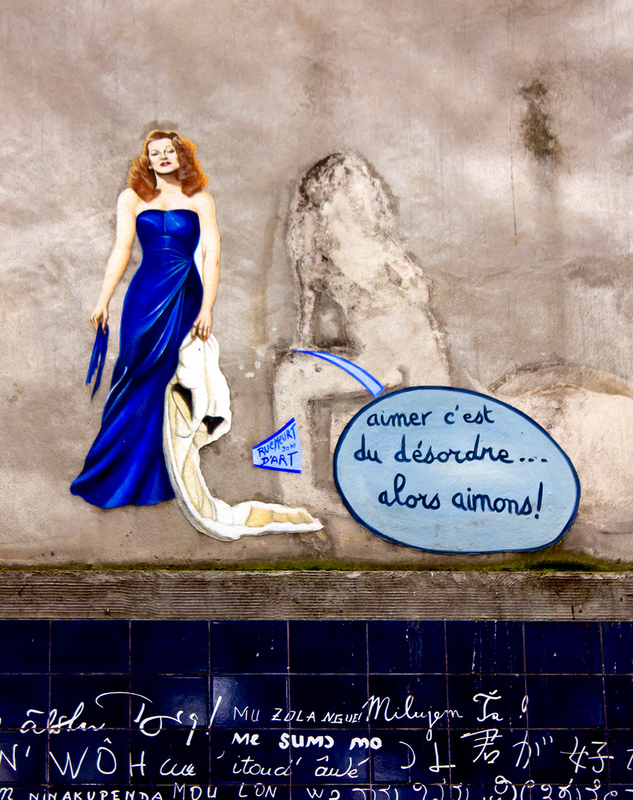 The whole project was pulled together by Daniel Boulogne, a specialist in murals. 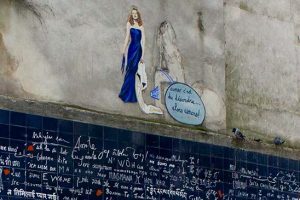 Splashes of red across the mural depict the pieces of a broken heart. 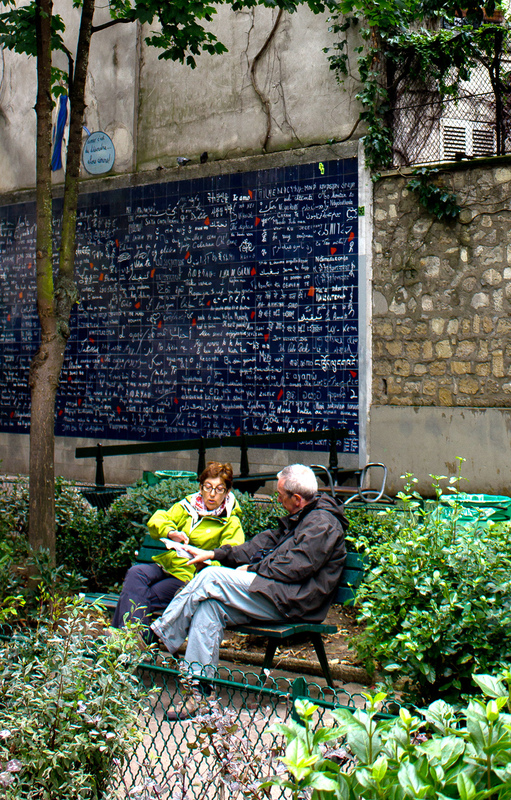 Jean Rictus Square is a quiet little park in Paris, near Abbesses, where you can to sit and catch your breath.